This description still needs to be audited. To view recent changes, click the "Change Log" tab at the top of this page. 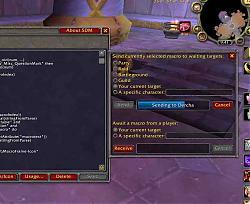 This addon allows you to create macros beyond the 255-character limit, and even beyond the 1023-character macrotext limit. However, no individual line in a macro may be more than 1023 characters long (you will get a warning). The number of lines is unlimited. Super Duper Macro also allows you to share macros with your friends in-game. 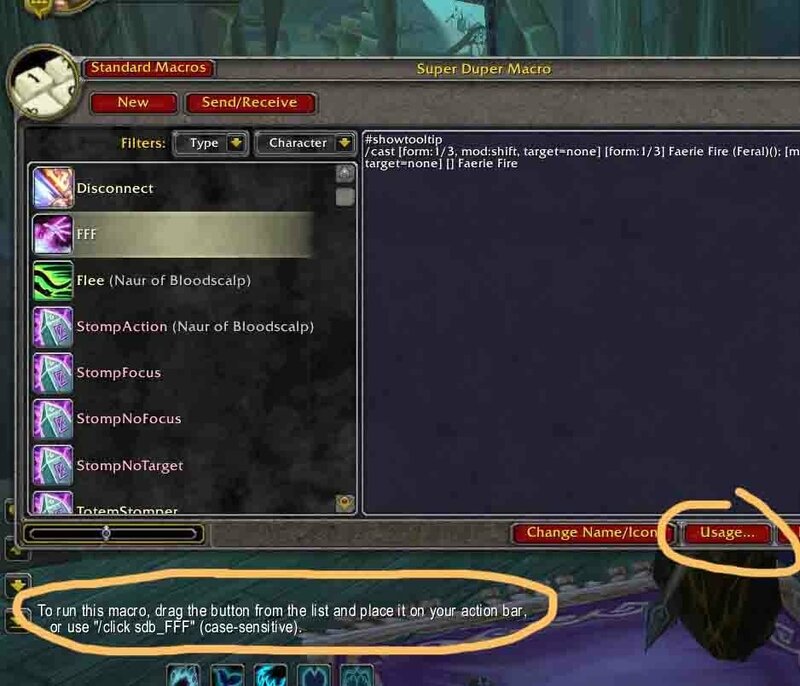 Button macros are just like regular macros, but they can be as long as you want. 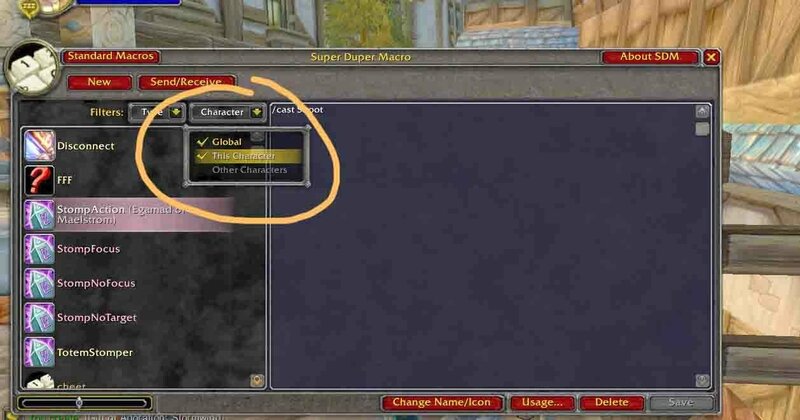 You cannot make an unlimited number of them; they share a limit with your regular macros (36 global and 18 character-specific for each character). Floating macros do not have buttons, and are accessed by /click. You can make as many of these as you want. Suggestions and bug reports are always welcome. You can post comments on the wowinterface.com page for this addon, or if you want to add something yourself, you can upload it in the "Optional Files" tab. 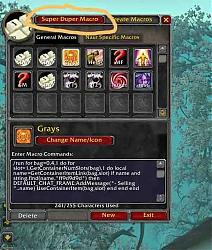 SuperMacro, which inspired the idea for this addon. 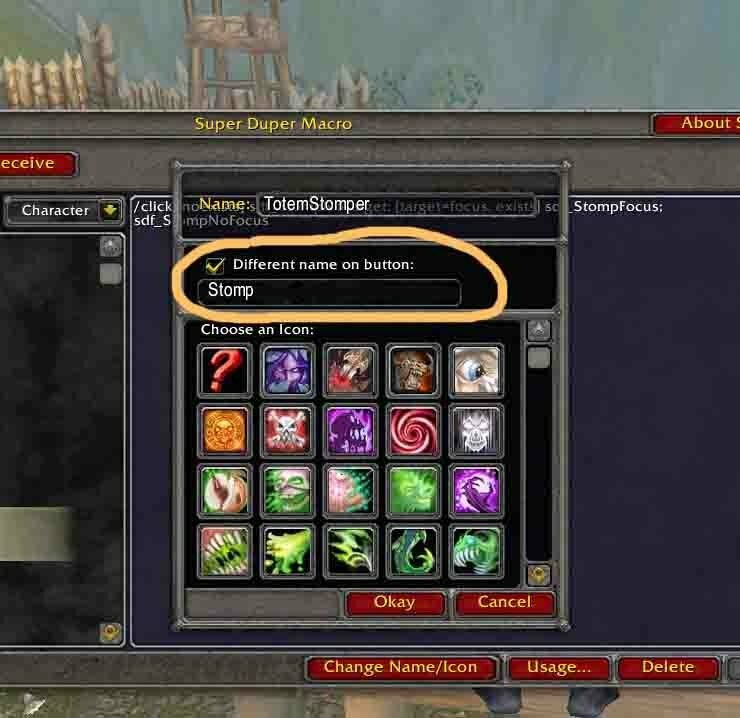 All the regulars on the UI & Macro forums, who taught me how to program for WoW. I've been getting the following error for a long while and hope there is a way to fix it. (*temporary) = "attempt to get length of upvalue 'MACRO_ICON_FILENAMES' (a nil value)"
Last edited by xerty : 03-27-19 at 12:01 PM. 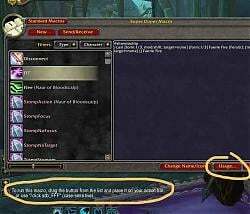 Is there a list anywhere af addons that are not on Curse and only on this site? I don't know, but probably not. I ought to put all my addons / maintained addons up on curse, but I've been lazy. 8.1.0.1 fixes a huge issue with large macros. 7.3.2.0 has been uploaded and is working properly with Minion. Documentation and the like are on my TODO list and will get packaged in with the addon itself and will also be viewable online on GitHub. REMEMBER: I am not a programmer! I'm a documentation guy. 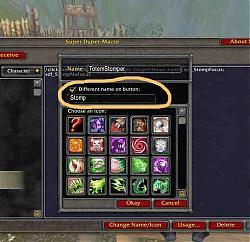 This addon makes the sound also for when I open the map which is annoying. Thanks for the update. Could you also fix the alignment of text in the text box please? The alignment offsets as the line goes down. I know of the problem and I'll keep on top of it. Someone else has to fix this, and I'll copy their solution or wait for Blizzard to fix it. Hello,I've just noticed that the macro I've created, as well as the new macro I'm creating doesn't show one the list anymore. The solution was posted earlier. TL;DR it worked in the end. Strangely, I only used to get errors upon login, but after playing with MacroToolkit and then switching back to SDM I'm getting the error when closing pretty much any dialog, just as you described. Then I applied your fix, which didn't work. In fact, SDM was busted, showing a blank panel. Then I exited, restored my SDM savedvariable from backup, made the .lua edit you recommended, logged back in and everything worked. Thanks.. I think. =) I'm technically back where I started. Last edited by spiralofhope : 09-17-15 at 11:28 AM.